Basejumping in the fjords of Norway, skiing down mountainsides and swimming with sharks. The small mountable GoPro videocamera gives us the opportunity to take online video to the extreme. But you don’t have to be a professional snowboarder or a base jumper to make fun and creative videos. 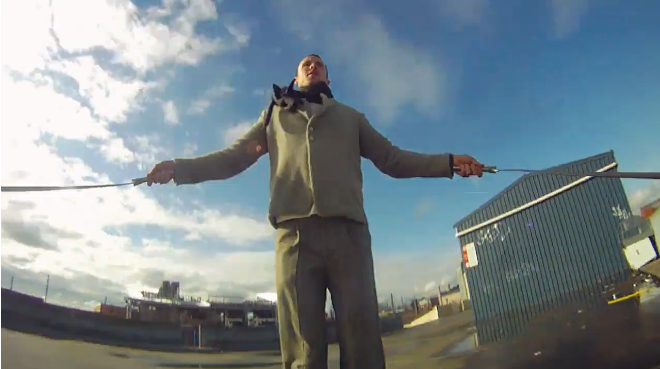 London / Melbourne based label Klezinski made a video to showcase their hand-crafted fashion pieces, just by using a GoPro, skipping rope and a bit of creativity. Besides just shooting something, it’s recommendable to put effort in careful planning to achieve pieces like this. Plan well, produce effectively, publish with care and don’t ever forget to distribute. Markus is a videographer at KLOK. His passion is to create bold and beautiful online videos and ride the streets of Helsinki with his singlespeed. Posted in English, General, Great Stuff!